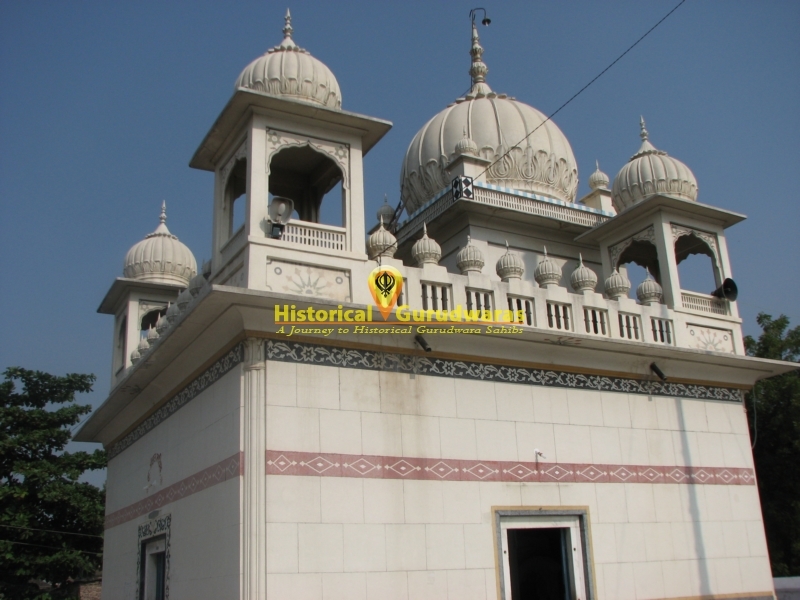 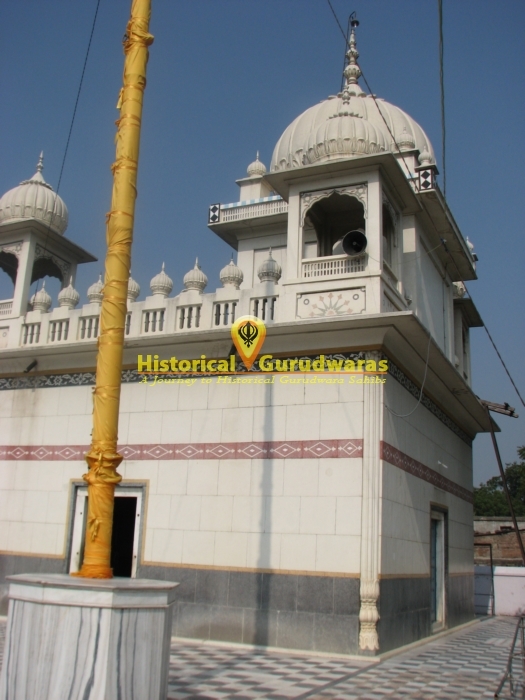 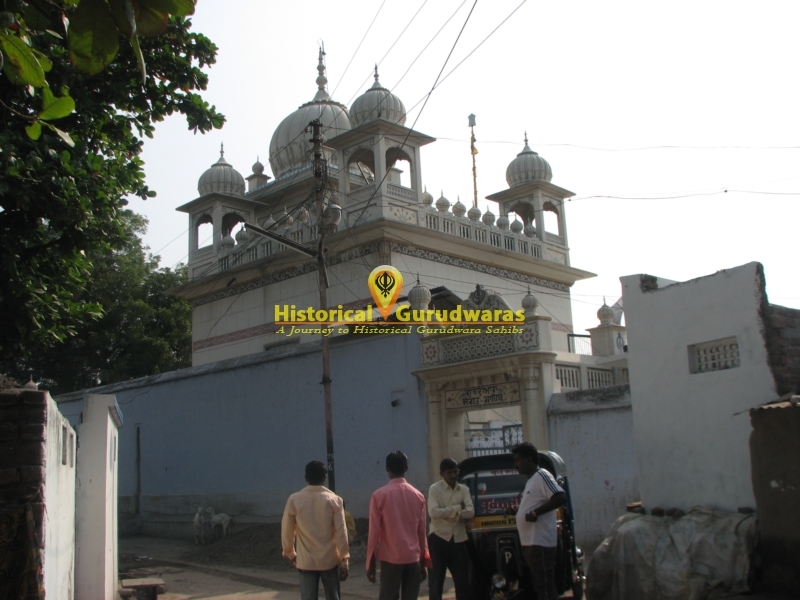 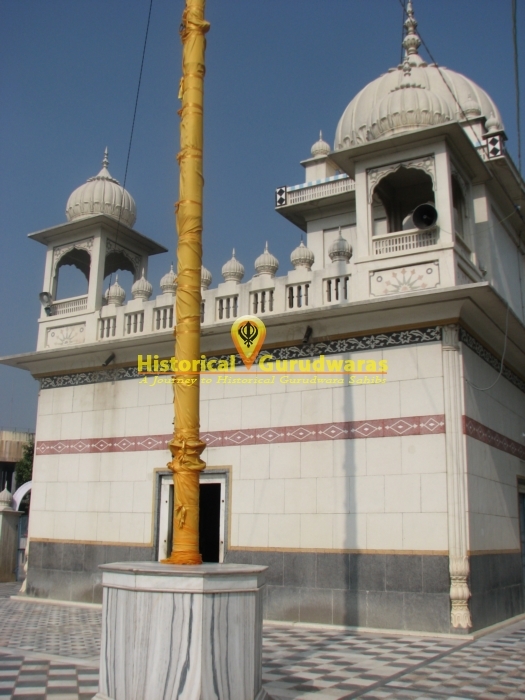 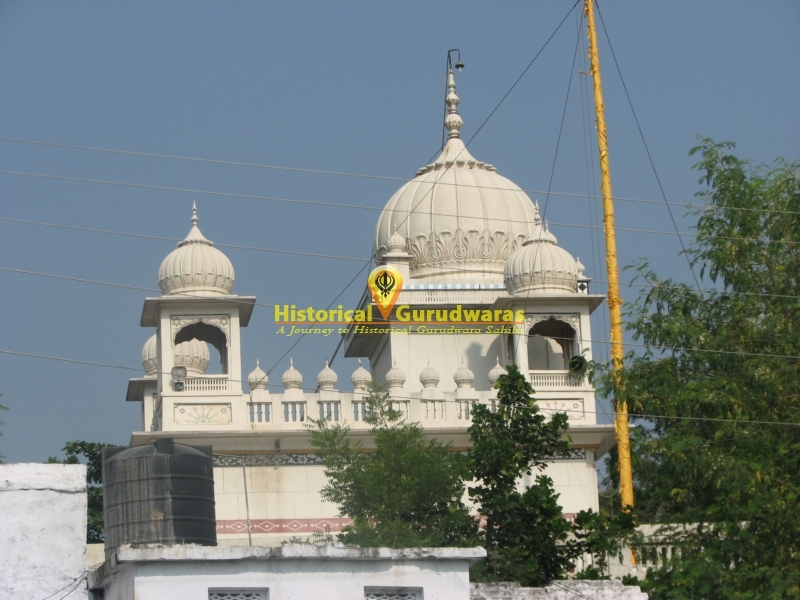 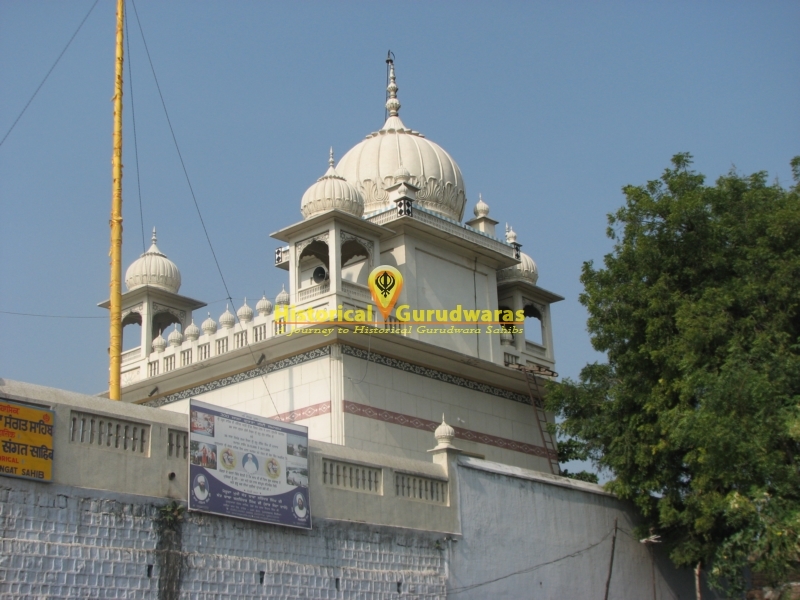 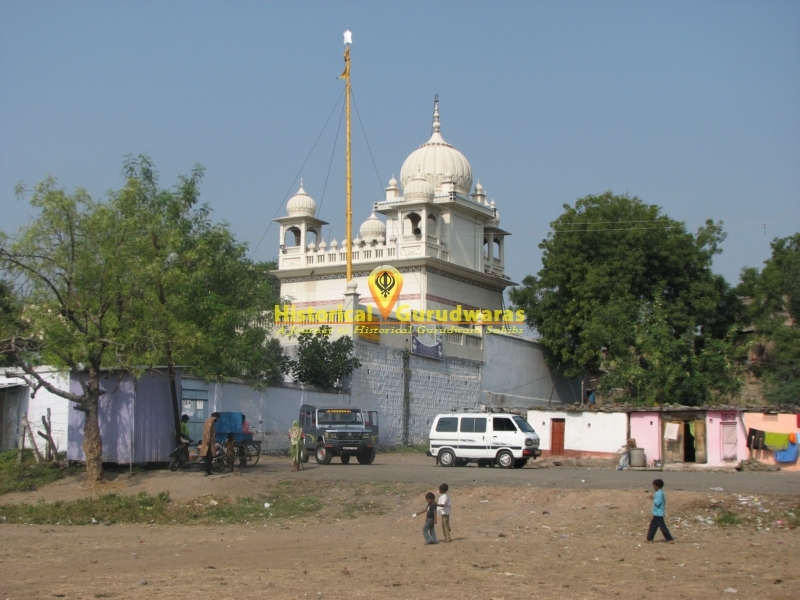 GURUDWARA SHRI SANGAT SAHIB is situated in the Distt City Nanded, Maharashtra. 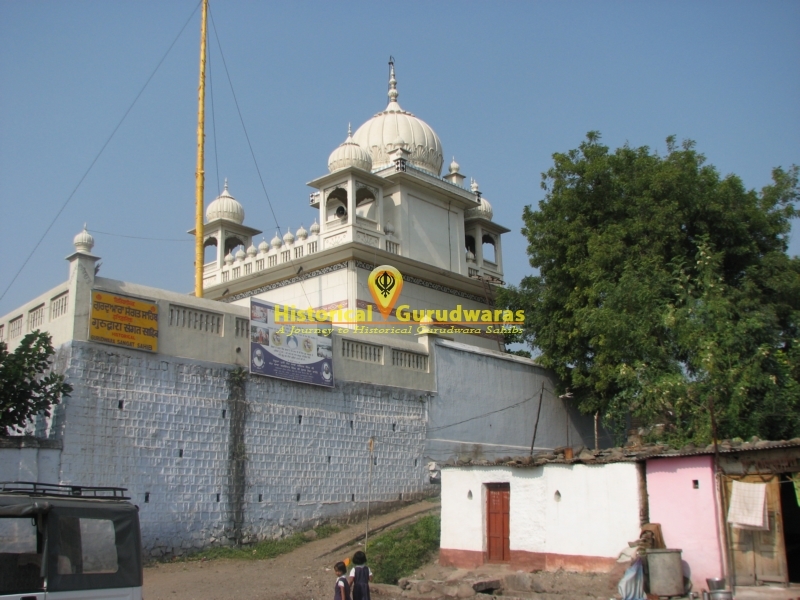 Coming back from GURUDWARA SHRI HIRA GHAAT SAHIB, SHRI GURU GOBIND SINGH JI stopped here. 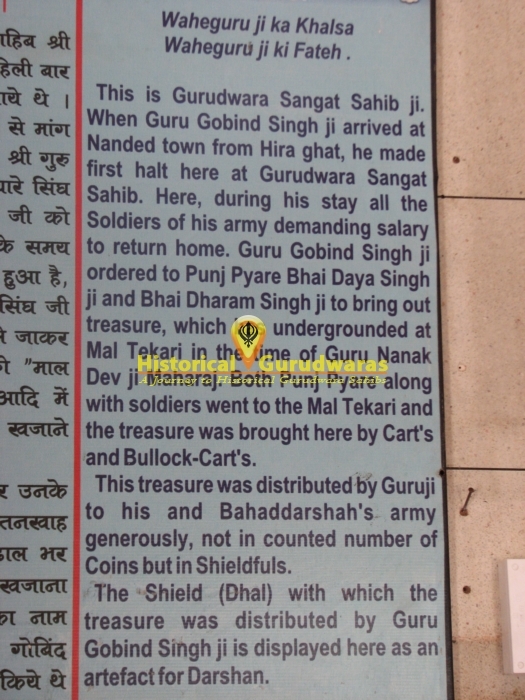 During their stay here the soldiers asked for salaries to return home. 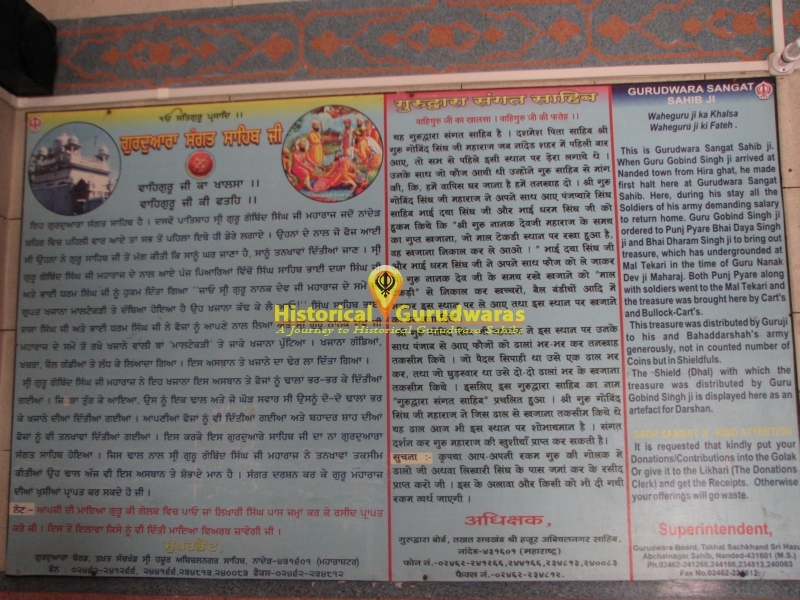 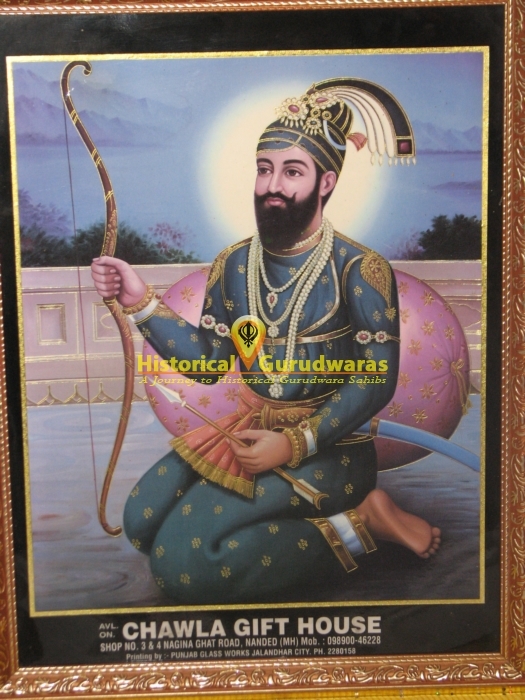 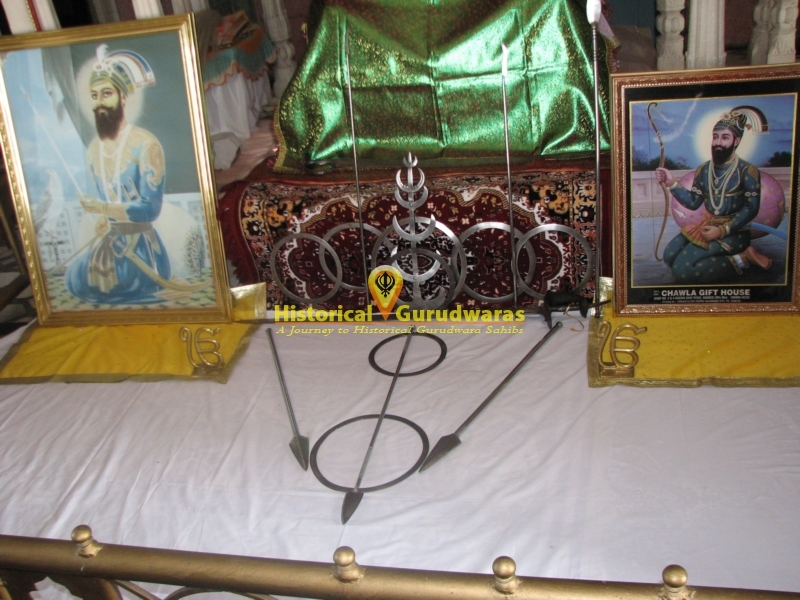 GURU SAHIB asked Bhai Dharam Singh Ji and Bhai Daya Singh Ji (Two of Panj Pyaras) to bring the treasure which has been underground from the time of SHRI GURU NANAK DEV JI at the place where now GURUDWARA SHRI MALTEKRI SAHIB is situated. 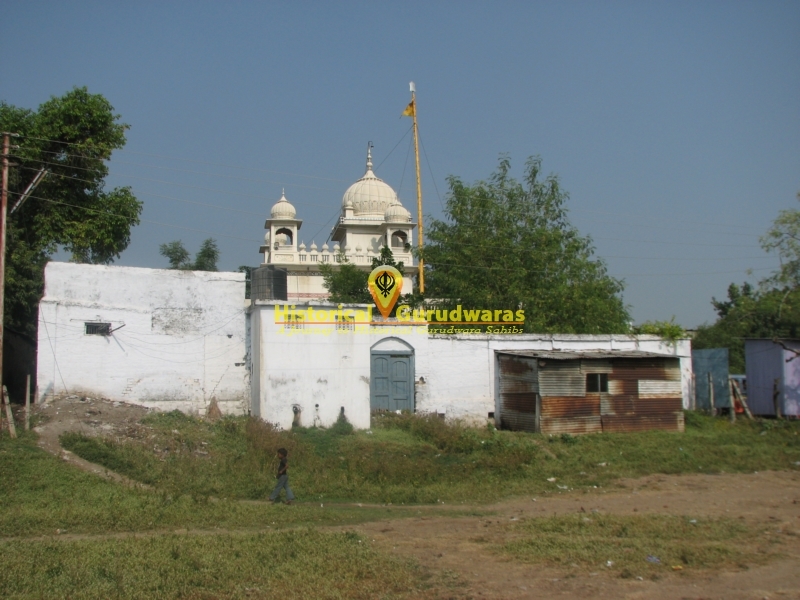 Both the pyaras went there and treasure was dug and brought back here on bullock carts. 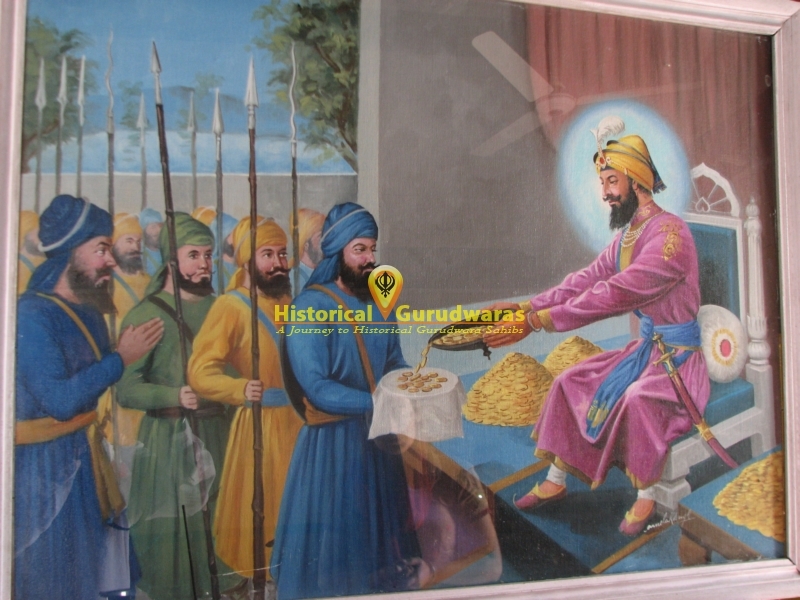 The treasure was distributed by GURU SAHIB to his and BahadurShah's army generously as shield fulls. 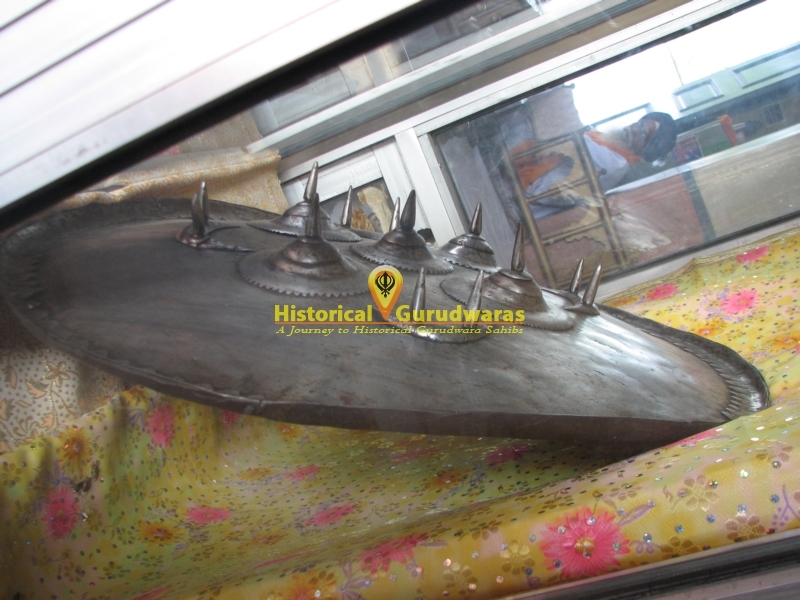 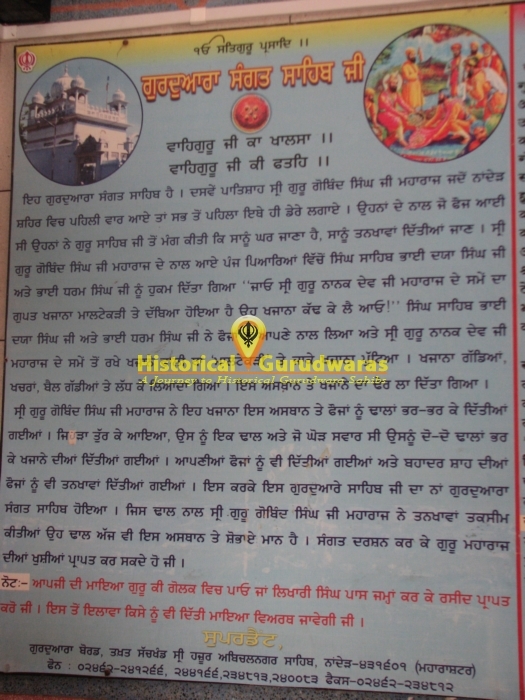 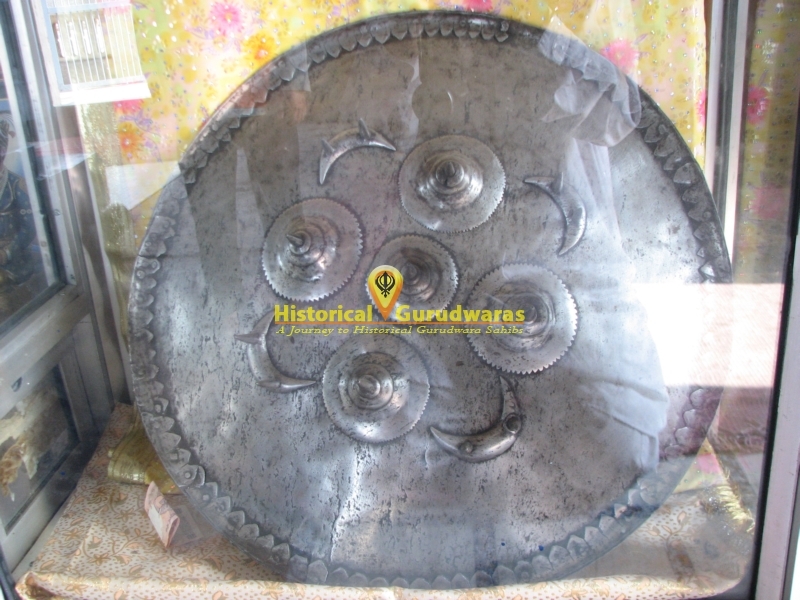 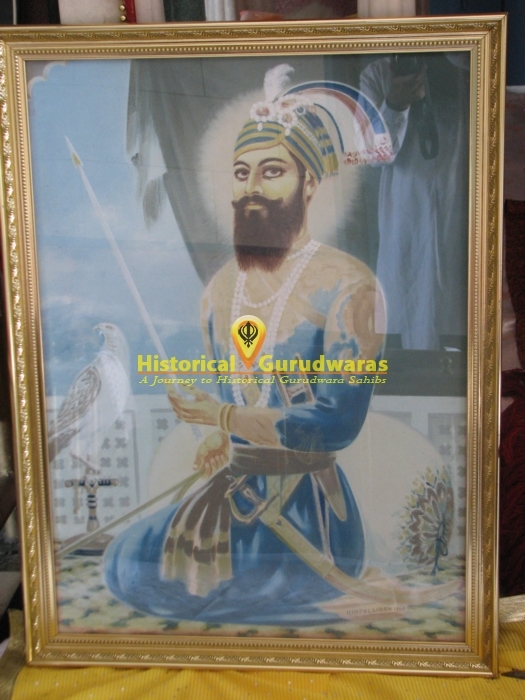 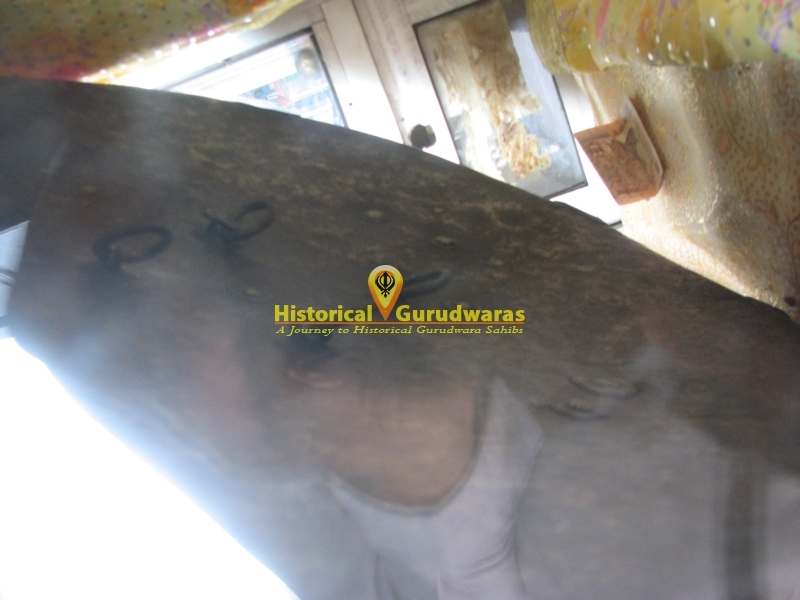 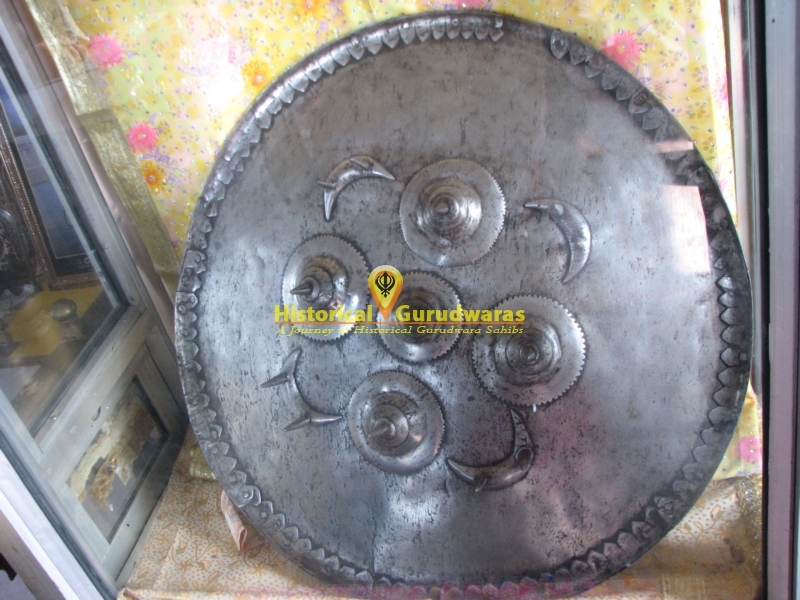 The Shield (Dhaal) which was used to distribute the treasure is still preserved at the GURUDWARA SAHIB.